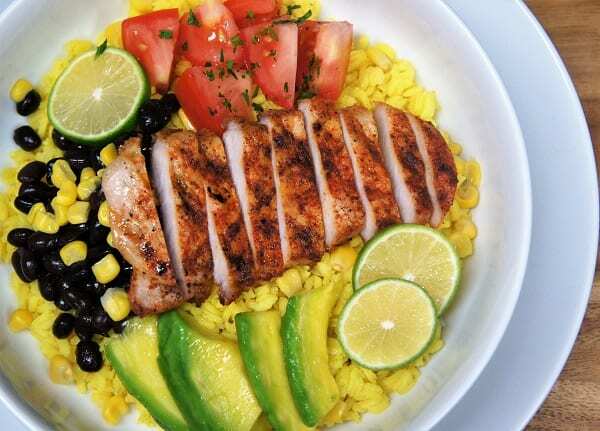 Yellow rice made with turmeric, topped with grilled pork loin chops, fresh tomatoes, avocado, corn and fresh lime juice all in one healthy, filling, delicious bowl. 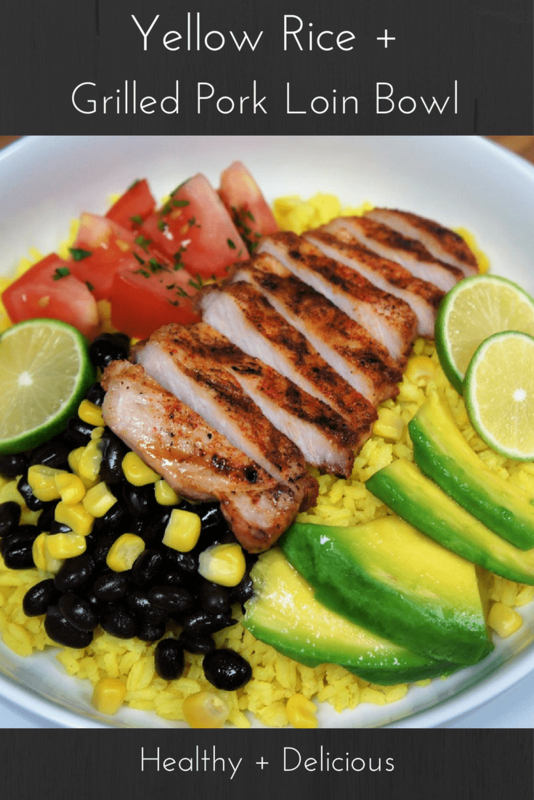 This yellow rice & grilled pork loin bowl is really easy to make. 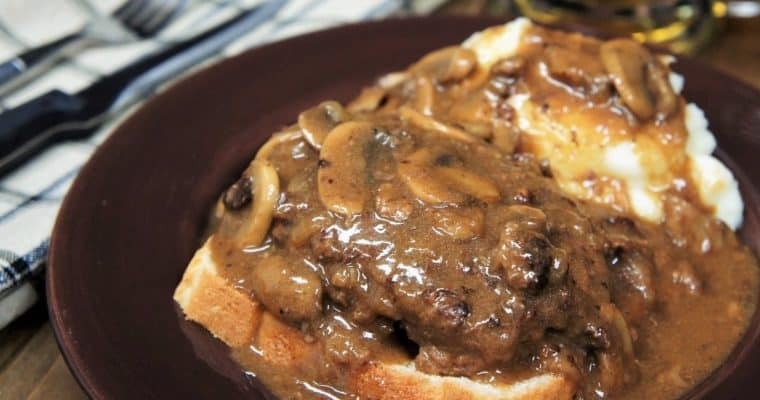 It’s a great dinner, and leftovers make the perfect lunch. Also, this bowl can be made vegetarian, see the cook’s notes. Enjoy! In a medium saucepan, bring the water to a boil. Add the chicken base, minced dehydrated onion and turmeric powder. Stir well until the chicken base is dissolved and the ingredients are combined. Add the rice to the saucepan, lower the heat to medium and stir well. Continue simmering the rice, uncovered, until most of the water has cooked out. The rice should be visible on the surface, about 10 minutes. Give the rice another quick stir, lower the heat to low and cover. Cook the yellow rice for about 25 minutes until done. Fluff with a fork. Arrange the pork loin chops on a pan; season both sides with the blackened seasoning. Set aside. Preheat the grill to moderate heat. Grill the chops for 4-5 minutes per side until cooked through. The internal temperature should be at least 145°F. Slice the pork into strips. Add a generous amount of rice to a bowl. Add the tomatoes, corn, black beans, avocado, and lime wedges. Top the bowl with the sliced pork. Repeat with as many bowls as needed, makes 4-6 bowls. It’s easy to make this dish vegetarian, just replace the chicken base in the rice with a vegetable base. Better than Bouillon makes a vegetable base too, as do other brands. Then omit the pork loin, and viola – veggie bowl. 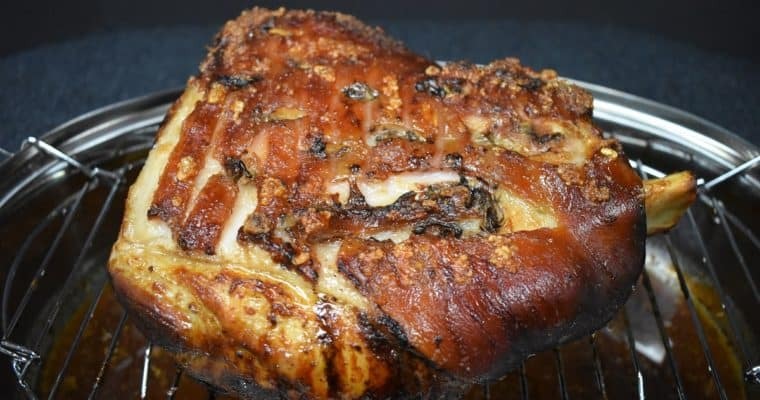 You can find blackened seasoning, also called blackening seasoning or Cajun style blackening seasoning in the spice aisle of most large supermarket chains. There are usually several brands to choose from too. Prep the avocado last so it doesn’t brown. Cut the avocado in half lengthwise, going all the way around. Give the avocado a gentle twist; you should be able to separate the two pieces. One of the pieces will have the seed attached. Pry it out gently. Rejoin the two halves until ready to use; this will slow down the browning process.